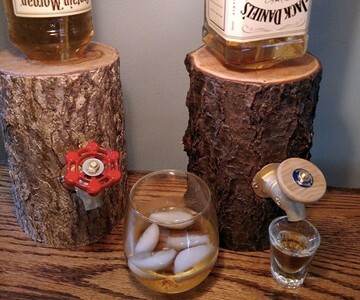 Now this is the kind of Yule Log I'm talking about. 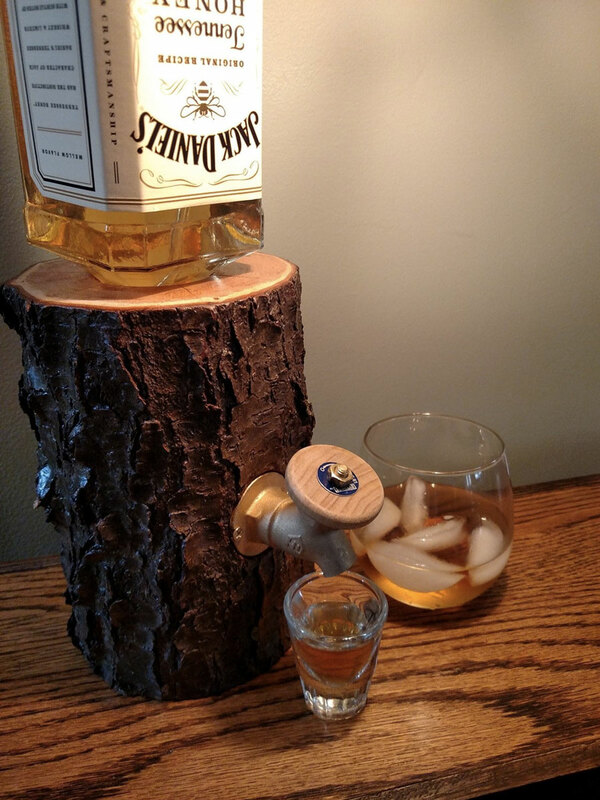 How better to bring good tidings to you and all of your kin than with a nice bottle of Jameson or Jack chug-a-lugging out the tap on an urban harvested Ohio hardwood tree? A father and son team at the Ohio WoodWorking Shop handmake each of these Log Liquor Dispensers to order. They use all-natural woods from their hood, so no two are alike. Dispensers stand around 8" tall and measure between 4" and 6" in diameter; they hold any standard size booze bottle. 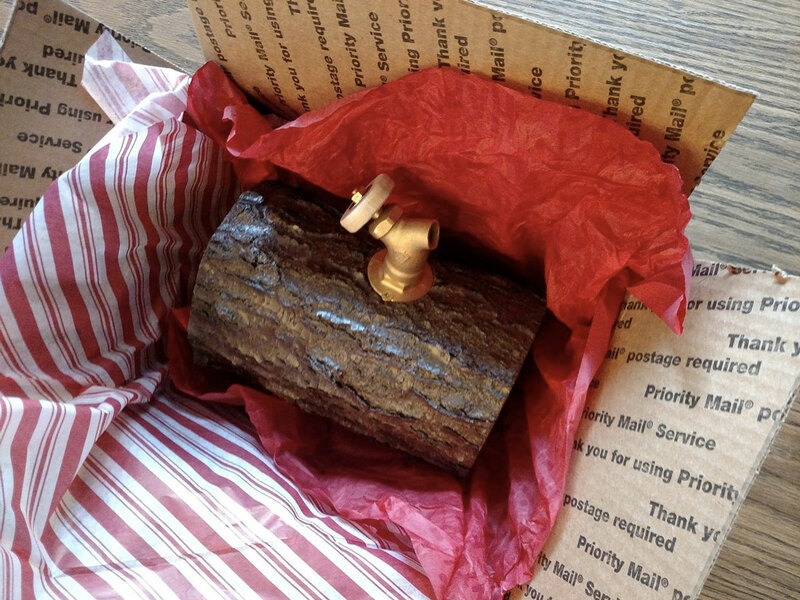 The guys treat the logs with a waterborn clear finish, and route liquor through a food and beverage safe PVC conduit that pours out a brass spout. Dispensers come with both wood and metal interchangeable handles.